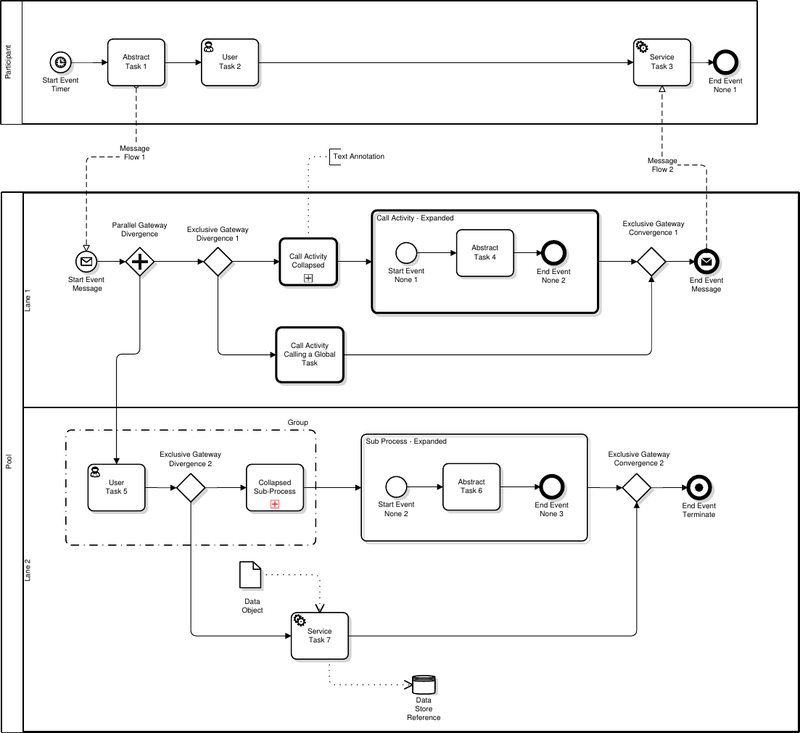 Here on the Dragon1 SaaS platform you can import data and draw BPMN diagrams in the Dragon1 Visual Designer. 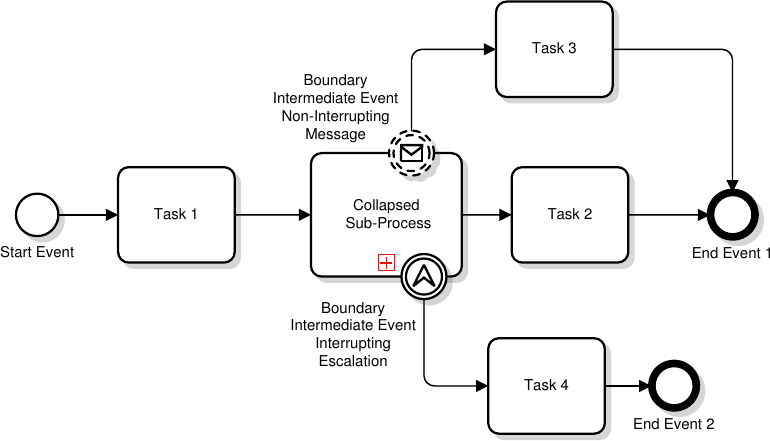 Next, you can publish them to the Content Viewer, so that stakeholders can view the diagrams for their purposes. 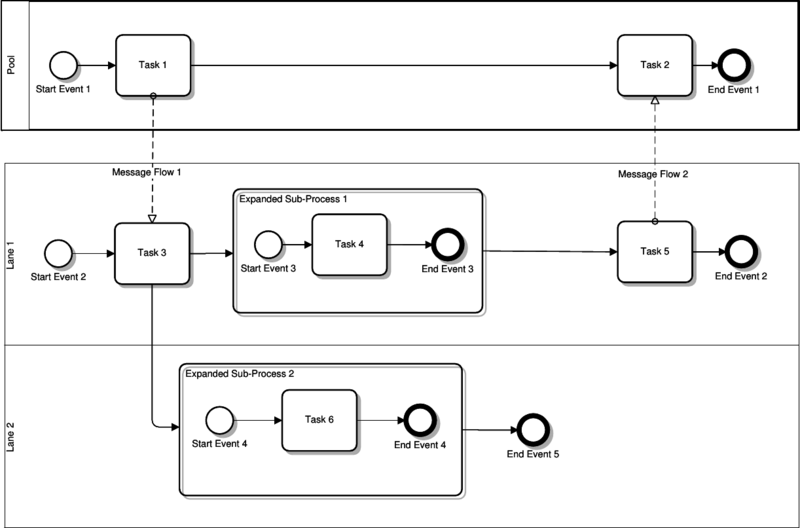 This BPMN viewing service shows that the diagrams can be published 100% compliant to the official BPMN 2 specification. 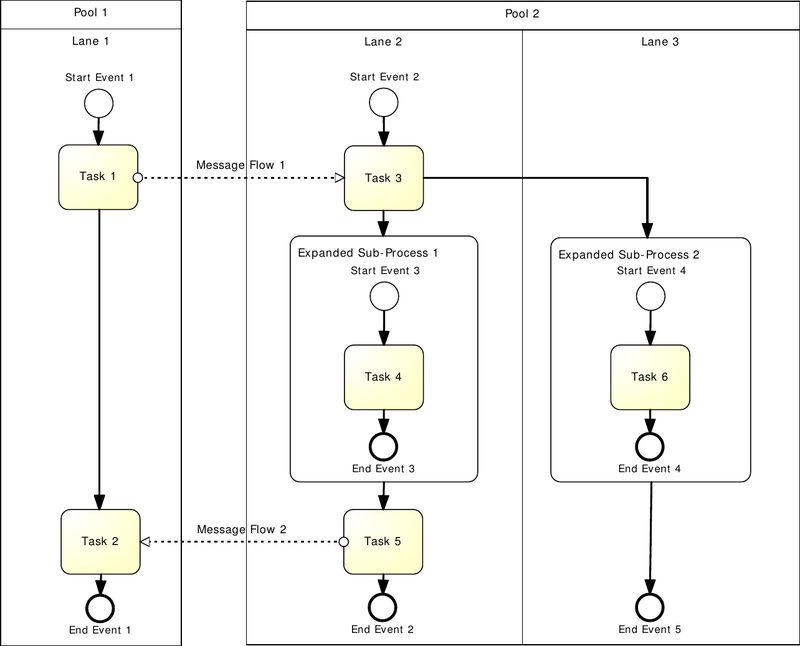 If you have a BPMN file, locally on your computer, or somewhere out on the web or intranet, you can view it on the Content Viewer. 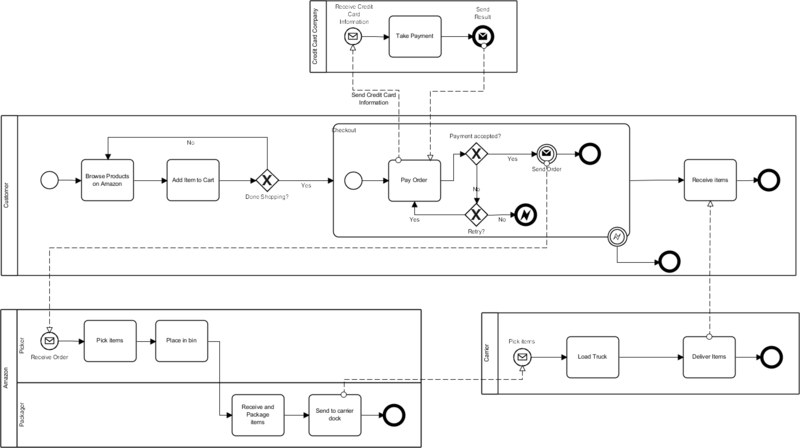 Also you can export any BPMN diagram from the Content Viewer to the official BPMN XML file format (.bpmn). 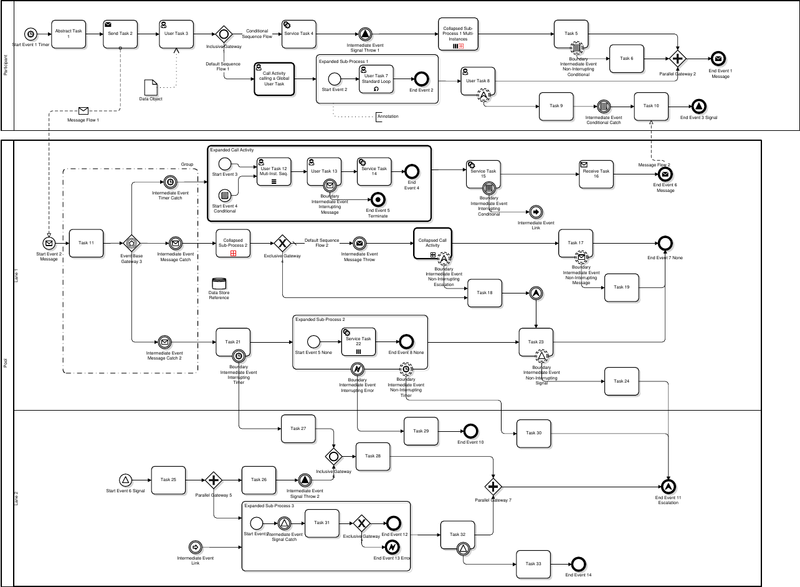 Below you see some common files from that on Github are published for BPMN. Just click on the link and see that file is provided as parameter to the Content Viewer and is shown correctly. NOTE: If you click on a shape, you will get the navigation bar at the right. Uncheck lock shapes to move the shapes around. Select a shape and change the text or the color of an item or add attributes to it and give these attributes values. 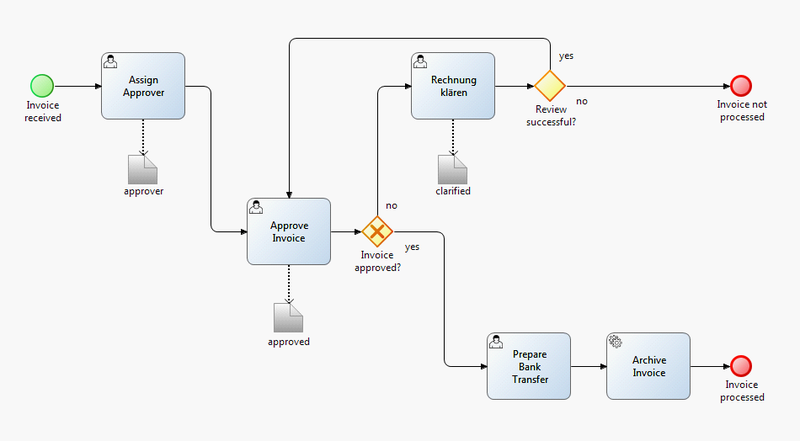 The Dragon1 Content Viewer enables you to test and check the compliance of your models with the BPMN 2.0 standard. 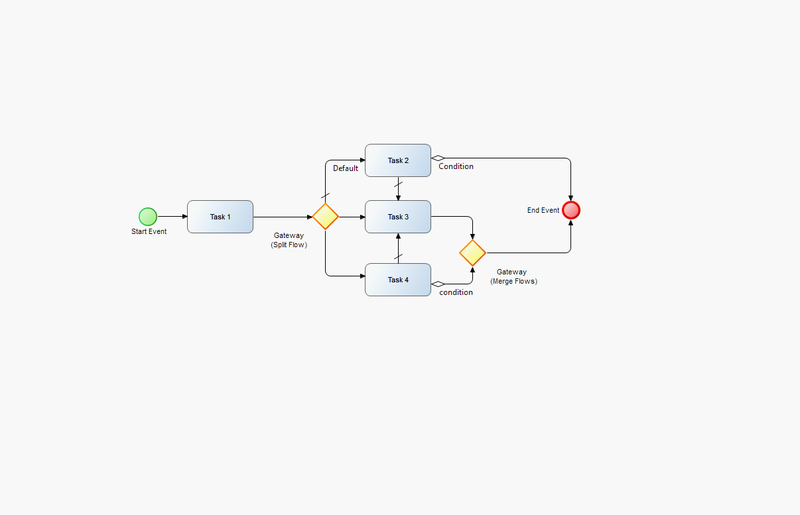 If you have created BPMN models and want to know how well they match with reference models, you can use the Content Viewer for that. 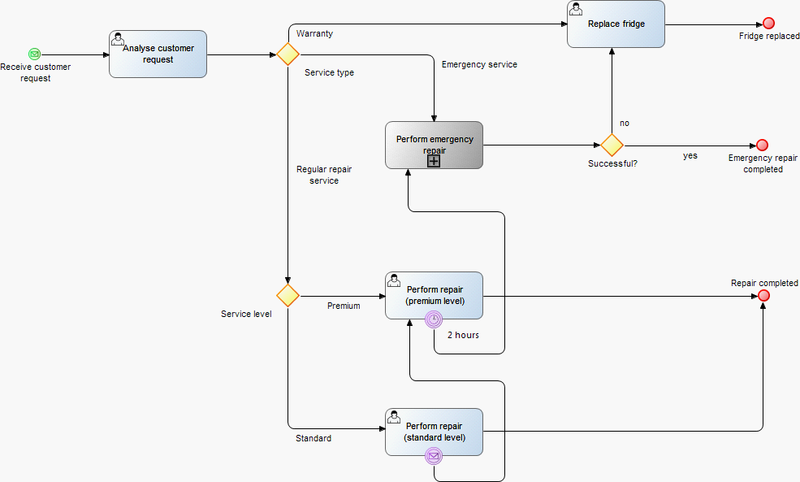 If you have BPMN diagrams you want to show to the world, please send them to us. We will review and publish them on this page, referring to you. 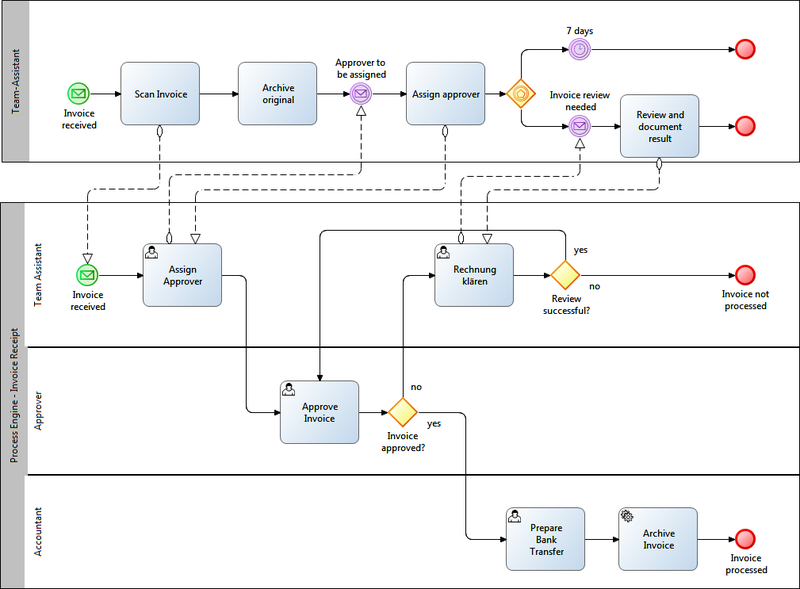 If you are interested to draw BPMN diagrams on Dragon1 and use them to manage innovation, please contact us via info@dragon1.com.